The MTX TS9924-22 JackHammer SuperWoofer is like nothing else on Earth. 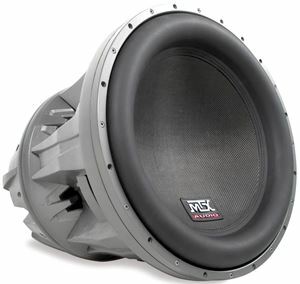 This subwoofer was designed simply because we could and over the top is never enough for some people. It might seem out of reach but in life it is important to have goals and strive toward them. There is no reason owning a JackHammer shouldn't be a goal for audio enthusiasts everywhere. 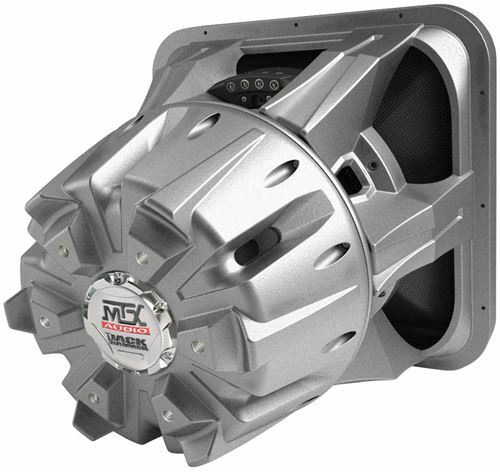 This monster SuperWoofer weighs over 400 pounds so you may need to plan for some vehicle modifcations including suspension and electrical upgrades. The JackHammer is also an engineering marvel that incorporates key technologies that make it unbelievable. The units starts with a sand cast aluminum basket and 56.25 pound magnet structure causing the unit to stand over 3 feet tall. 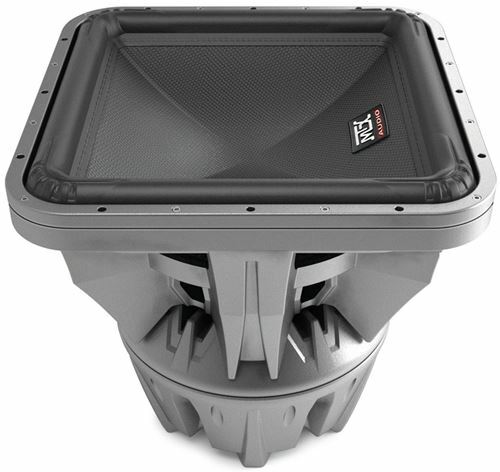 Internally, the unit features a 6.5" high temperature voice coil with 17 AWG aluminum wiring allowing the subwoofer to achieve 2.5" of one-way excursion, or Xmax, and the ability to handle 4000 watts RMS. 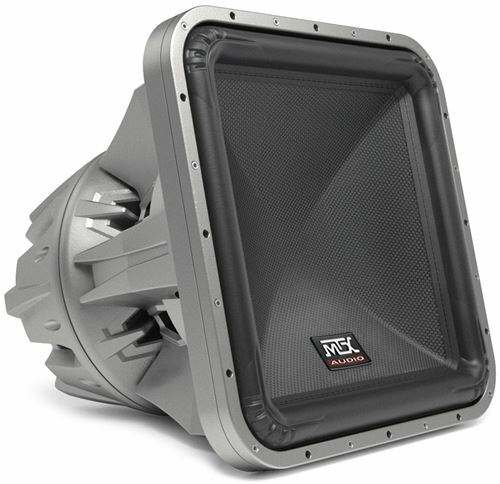 An aluminum shorting and progressive roll spider reduce distortion allowing the subwoofer to play loud and clear even at high output. This unit also features a patented surround design that enables it to move more air than any other subwoofer being manufactured today. 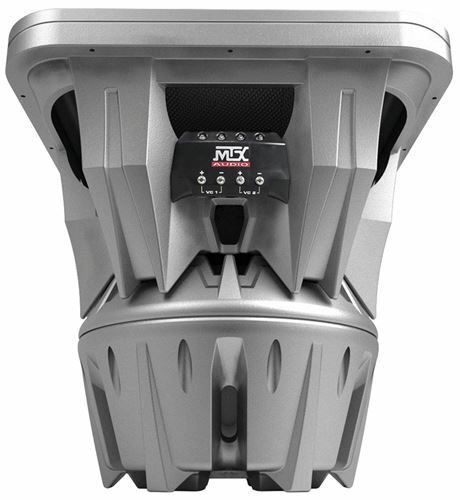 The carbon and glass fiber dustcap has an excellent stiffness to weight ratio increasing sensitivity so the unit is able to deliver high SPL at lower power levels. 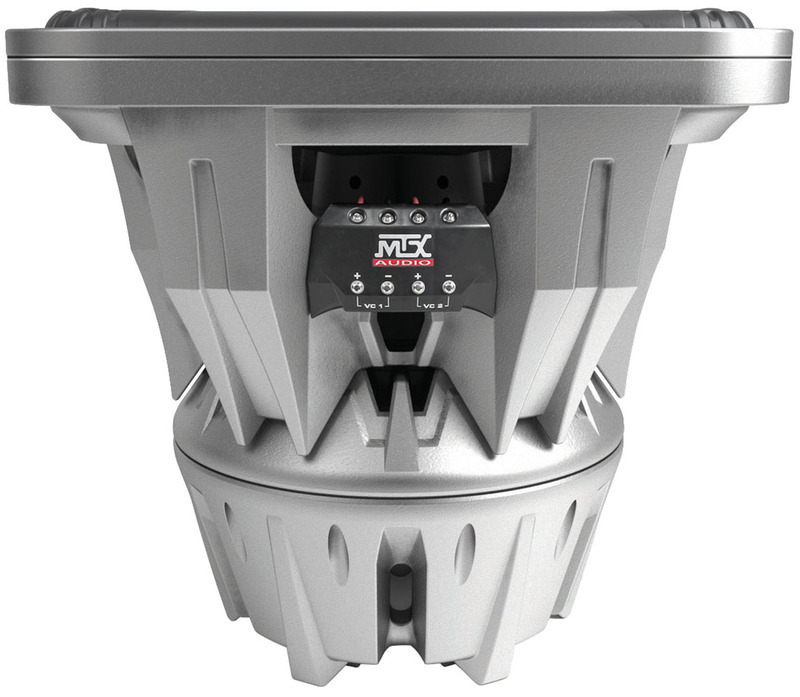 The high roll surround uses a patented design that increases Xmax and delivers the 2.5" Xmax. The unit is completed with 8 AWG set screw terminals on both voice inputs allowing large power wire to be used to ensure voltage loss is minimized and the subwoofer receives all the power you can send to it. The TS9924-22 might seem like overkill but sometimes you just have to be heard to be seen.